I get a lot of people asking for advice when it comes to preserving or increasing their credit score. Surprisingly, there are quite a few mistakes people are making without even realizing it. Okay, you’ve worked hard to build up your credit score. 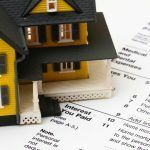 You pay all your debts on time, have focused on getting out of debt –maybe even closed a few of those accounts because you don’t need them or want them anymore. Then one day you apply for a loan and there are issues. What??? Everyone understands the need to pay down debt and pay bills on time but there are a few wonky things that affect your credit score. Remember those cards you cancelled? Well as counterintuitive as that sounds closing accounts can hurt your score. The reason for the ding is that closing an account drops your global credit limit, which increases the percentage of debt in relationship to the limit. For example, you have two credit cards with a limit of $1000 each, for a total of $2000. You owe $500 on one card and $800 on the other. That debt load is 65% of the global limit. So you decide to pay off the $500 and close the account. That reduces the global limit to $1000 with an $800 balance. Now the percentage of debt is up to 80% and your credit score takes a hit. The ideal percentage between global limit and debt owed is 30% to 35% – the lower, the better. Here’s another stunner: Having a credit card or line of credit and not using it. Yep, having too much unused credit can have a negative impact — a creditor can’t tell how you manage credit payments if you don’t use it. Here’s something I know you’ve done in the past. You’re in your favourite store and you’re offered an amazing discount if you open a credit account. As tempting as that is, just say no. Store cards carry much higher interest rates than major credit cards and your credit score may take a hit. An inquiry can drop your credit score between five points and 35 points, depending on your credit profile. Shopping around for the best rates on anything – a car, or a mortgage or any other big purchase affects your score. Each time you apply for credit, it creates a hard inquiry, which lowers your score. If there are a lot of “inquiries” within a short period of time, it doesn’t look good. Shopping around for rates is not a bad thing to do especially at mortgage renewal time, but let me do it for you – your credit report gets pulled only once as we review multiple options for you. 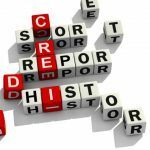 Length of credit history – 30 year plus. Well there you have it! Seems easy enough – just log this into your brain and do as Andy says and you will have the beautiful credit of an 80 year old! Good luck!